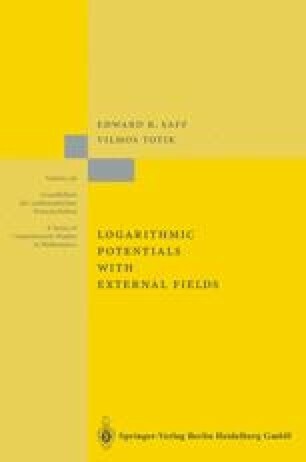 Logarithmic potentials are intimately connected with polynomials on the complex plane. Indeed, if P n is a monic polynomial, then log(1/|P n |) is the potential of the counting measure on the zeros of P n . In a similar fashion, potentials with external fields are closely related to weighted polynomials. In this chapter we shall utilize this relationship.